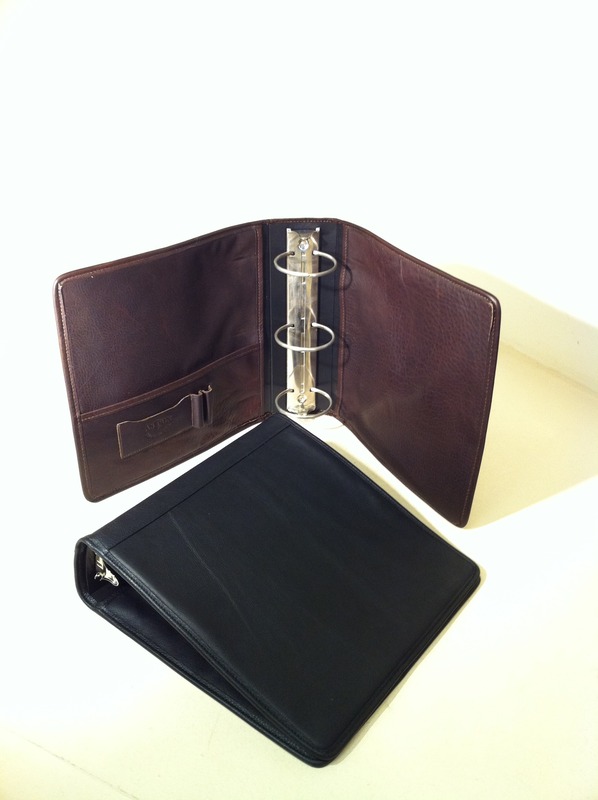 Aston Leather 3 Ring Binder with 3 inch rings is the perfect organizer for large assembly of papers and made in the U.S.A. Interior left panel card pocket, two pen pockets, half panel flat pocket. 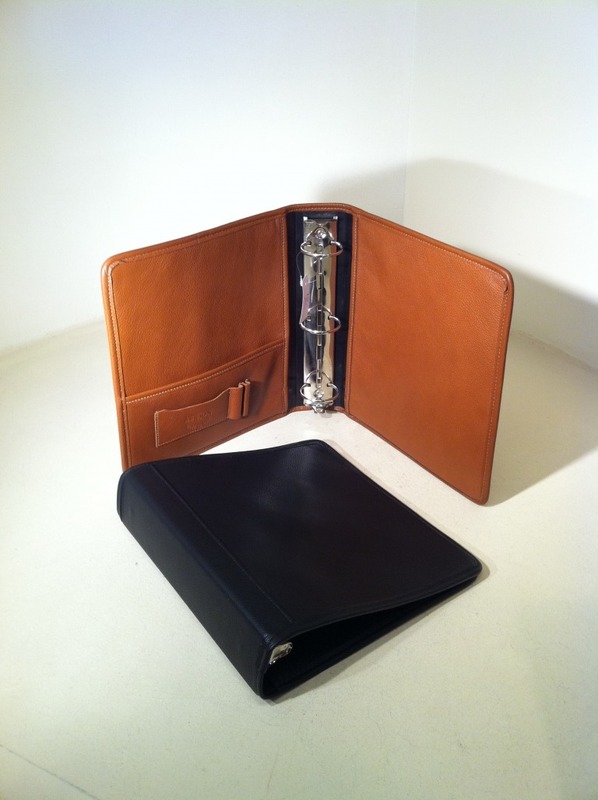 Removable binder on plastic backing. Leather lined.